New York, NY (01/02/15)- Chi Upsilon Sigma ® is pleased to announce the selection of Stop Hunger Now as their 2015 National Service Project. Every year, the sorority selects an organization that defines the values and awareness’s they proudly represent and have adapted. This year, every chapter and colony will be working to raise awareness and take action by supporting the mission of Stop Hunger Now. 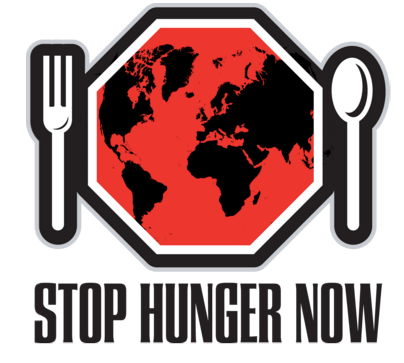 Stop Hunger Now is an international hunger relief agency that has been fulfilling its commitment to end hunger for more than 15 years. The organization created its meal-packaging program in 2005, which assembles small meal packets containing rice, soy, dehydrated vegetables and a flavoring mix including 23 essential vitamins and minerals. Stop Hunger Now provides over 70% of its meals to support transformational development programs such as school feeding programs, vocational training programs, early childhood development programs, orphanages, and medical clinics. Stop Hunger Now’s goal is to allocate 80% of its meals to transformational development programs by 2015. We chose to support Stop Hunger Now as our 2015 National Service Project because we are committed to the betterment of our communities and the communities around the world. We are committed to joining Stop Hunger Now in helping enhance lives and breaking the cycle of poverty through education, skills development, and health care while also providing much needed nutrition.